Coalition-backed ground forces in Syria have begun what is expected to be the final phase of an operation to clear the Islamic State group from a pocket of terrain, officials said Tuesday. The ground offensive, dubbed Operation Roundup, is being conducted by the Syrian Democratic Forces (SDF) with powerful air and artillery support from the US-led coalition in northeastern Syria. The operation "will clear remnants of (IS) from northeastern Syria along the Middle Euphrates River Valley toward the Syria-Iraq border," the coalition said in a statement. Operation Roundup began May 1, with the final phase getting underway Monday, officials said. The SDF, comprised mainly of Kurdish fighters and Syrian Arabs, has been the main ground force through which the coalition has been able to push IS out of the vast parts of Syria it once held. On Monday, an SDF commander told AFP that the new assault had killed at least 15 IS fighters. 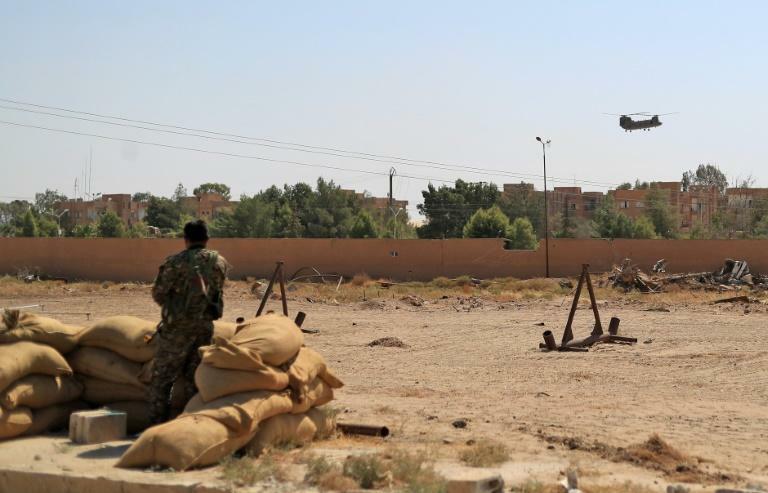 IS still controls part of Deir Ezzor as well as some territory in the south in Syria, though US officials say the group has lost control of more than 98 percent of the ground they once held. The coalition said it would not leave Syria once IS loses control of the last pockets. "Moving forward, we will continue coordination with the SDF and other partners to promote regional security and stability that will ensure a lasting defeat of ISIS," said Major General Patrick Roberson, commander of the coalition's Special Operations Joint Task Force.